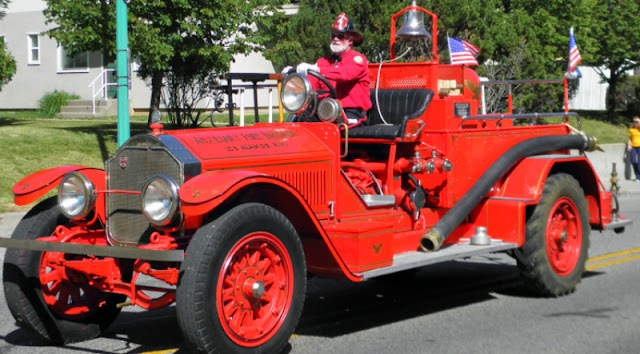 I need to find out more about this Los Alamos Fire Brigade truck that was in the recent LAHS Homecoming Parade. The Fire Brigade meets on Monday evenings, I think. At the 'old firehouse' on 38th St. (turn left at the Shell station at the top of the hill before heading down to the golf course).